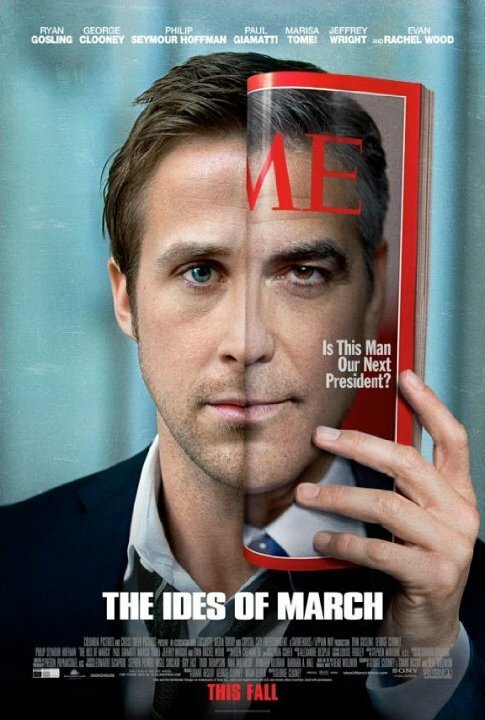 The Ides Of March was a enjoyable political drama. I mean how could you really go wrong, look at all the great actors in it. The over all story was good and the acting as you would guess was top top notch. It did drag a few times but over all it kept up a pretty good pace. The entire movie revolves around the Democratic Primary in Ohio between two candidates. The main focus is on the campaign of Governor Mike Morris, played by George Clooney, and his staff as they try work to get him the Democratic nomination for president. There are a lot of shady things that happen behind the scenes of the campaign and you can't help but think that it is a pretty accurate depiction of modern day politics. You have people leaking things to the press, people getting paid off, blackmail and political favours to get votes. It did a good job of keeping you guessing on how every thing was going to fall into place in the end. The cynical side of me can't help but think that things ended in the movie exactly the way the do in real politics. With people making sacrifices for what they think is greater good. Is the greater good really worth all the collateral damage? That is a question I can't answer for you. What I can answer for you is the question of should I watch this movie, and that is a resounding yes. It is worth adding to your Netflix cue just for the acting alone.